Gothenburg (Swedish: Göteborg) is a city in the province of Västergötland, on the western coast of Sweden. As of 2005, the city had a population of 489,787, with approximately 879,000 people living in the metropolitan area. 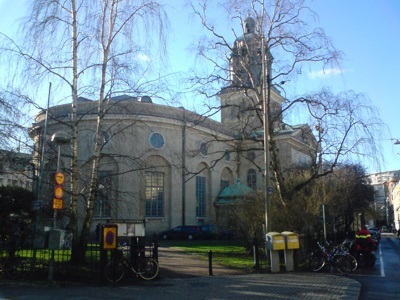 Gothenburg is perhaps best known as the home of Gothenburg University (Swedish: Göteborgs universitet), which with over 50,000 students (mostly undergraduates) studying at 8 different facilities, is the largest university in Scandinavia. This fully revised third edition of Bradt's West Sweden including Gothenburg remains the most comprehensive – and only standalone – guidebook to this enchanting region. In the first dedicated guidebook, Bradt's West Sweden including Gothenburg reveals the staggering variety of the area's experiences, including a chapter on Gothenburg and a section on the region's history and culture, and offers detailed maps of both the coastline and the cities. Included in this edition are sections on Top West Sweden ‘must dos' and Top 5 Wild Swimming spots, road trip suggestions and coverage of the Pilgrims' Trail hiking route. The author, James Proctor, has written Bradt guides to Lapland and the Faroe Islands and has visited Scandinavia annually for over 30 years. Centrally located within Scandinavia, west Sweden is quickly developing as a vibrant tourist location and continues to attract an increasing number of visitors. With a bewildering array of over 8,000 islands, endless meadows of wild flowers and the lively and cosmopolitan coastal city of Gothenburg, west Sweden perfectly encapsulates both the rugged beauty and urban delights Scandinavia has to offer. Greater Than a Tourist – Gothenburg, Sweden by Christina De Paris offers the inside scoop on Gothenburg. Most travel books tell you how to travel like a tourist. Although there is nothing wrong with that, as part of the Greater Than a Tourist series, this book will give you travel tips from someone who has lived at your next travel destination. Are you planning your next vacation abroad and you’re ready to explore? Do you want to be prepared for everything? Are you ready to experience every new place you visit just like a local? Well, with this amazing Gothenburg (Sweden) travel map you’re all set and ready to go! The Gothenburg (Sweden) map was carefully designed to give you amazing results and make traveling easier than ever. We make sure to constantly update our info to give you the most relevant and accurate information, so you will never get confused or frustrated during your Gothenburg (Sweden) trip. The map is very detailed and it will not only give you all the available roads and routes, but also the essential information to make your Gothenburg (Sweden) vacation unforgettable. In the Gothenburg (Sweden) map you will also find the best places to go shopping, the most famous and must-see sights, churches and more. Are you excited about planning your next trip?Do you want to try something new?Would you like some guidance from a local?If you answered yes to any of these questions, then this Greater Than a Tourist book is for you.Greater Than a Tourist – Gothenburg, Sweden by Christina De Paris offers the inside scoop on Gothenburg. Most travel books tell you how to travel like a tourist. Although there is nothing wrong with that, as part of the Greater Than a Tourist series, this book will give you travel tips from someone who has lived at your next travel destination.In these pages, you will discover advice that will help you throughout your stay. This book will not tell you exact addresses or store hours but instead will give you excitement and knowledge from a local that you may not find in other smaller print travel books.Travel like a local. Slow down, stay in one place, and get to know the people and the culture. By the time you finish this book, you will be eager and prepared to travel to your next destination. The West Coast region in the southwest corner of Sweden is that nation’s favorite vacation destination. The City of Gothenburg, which is located on the West Coast, is Sweden’s second largest city after the capital Stockholm. Scandinavian city life in Gothenburg and sea life on the West Coast combine to create an attractive vacation destination that brings travelers to the region from Sweden, other European countries and beyond the ocean. Gothenburg and Sweden’s West Coast is a visual travel guide packed with information, photographs, maps and videos on this exquisite Scandinavian destination. Long time ago, Vikings used to live in the region, but also Danes and Norwegians have ruled the West Coast. Region’s history is still present in many castles, fortresses and old villages, but equally impressive is the scenery across the beautiful archipelago. The guidebook shows you the best sights in Gothenburg and on the West Coast that every visitor should see. It also directs readers to outdoors and indoors activities that are popular in the region. Gothenburg and Sweden’s West Coast helps you plan your trip to Sweden, and because the book has been designed for tablets, laptops and smartphones, travel tips are always within reach in the destination, too.